Naturally Not Pregnant! : What happens to your body when you come off hormonal contraception? What happens to your body when you come off hormonal contraception? 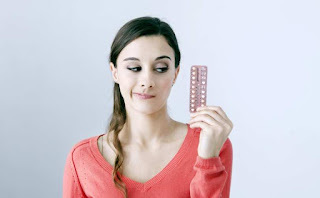 Perhaps you have been thinking for a while now that you would like to go natural, reconnect with your cycle and come off hormonal contraception. You may be nervous and this is understandable. What will this mean for my body? What will I do for contraception? How can I do this without getting back my old symptoms? It is always important to listen to your body. Most women intuitively feel when it’s the right time for them. Maybe they are experiencing side effects, maybe they are thinking about their future fertility, or maybe they just don’t feel right about taking the synthetic hormones anymore. What ever your reasons, with the help of your doctor and a fertility awareness instructor like myself you can safely and smoothly come off hormonal contraception and integrate into healthy baby-free cycles with Naturally Not Pregnant’s fertility awareness programs. What happens to my body when I come off hormonal contraception? When you are taking hormonal contraception you are taking high levels of hormones that are very similar to the ones your body makes itself, they are just synthetic. Because your brain recognizes that you have high levels of hormones circulating though your system it tells your ovaries not to bother making any more. If you are taking a pill that is 21 days on and 7 days off (sugar pills), then from the moment you start taking the sugar pills your brain realizes that your hormone levels are dropping and this begins the shedding of the uterus lining. Remember this is not a true period because you have not ovulated, the pill will have prevented this; rather it is called a “withdrawal bleed”. This process is the body’s natural response to a drop in hormones and it is how a real period is triggered in a true cycle also. After coming off the pill you will have your usual withdrawal bleed. Realise that you are no longer taking synthetic hormones and start making its own again. Not realise that you are no longer taking any synthetic hormones, and be too sleepy and lazy to begin making its own again! In the first scenario, you may find that your body quickly gets its groove back and your period (a real period!) comes roughly 28 days later. This is great news and always the more favourable outcome after coming off hormonal contraception! It means that your brain and your ovaries remember their true purpose and you are healthy and fertile. This is not always the case however, and often, after many years of synthetic hormone use the body will take some time to recover. Like a conductor leading a symphony, the brain must orchestrate the release of many key hormones and neurotransmitters in order for the menstrual cycle to flow correctly. After coming off the pill many women will have a combination of hormone deficiencies and/or excesses; this is what causes cycle irregularities. If this is the case, you may find that your period takes 6-8 weeks to return and when it does it is irregular for months. During this time however it is not uncommon to notice some hormonal signs that your body is trying to figure things out. In the second scenario, an essential process in the healthy functioning of the menstrual cycle has stopped working. 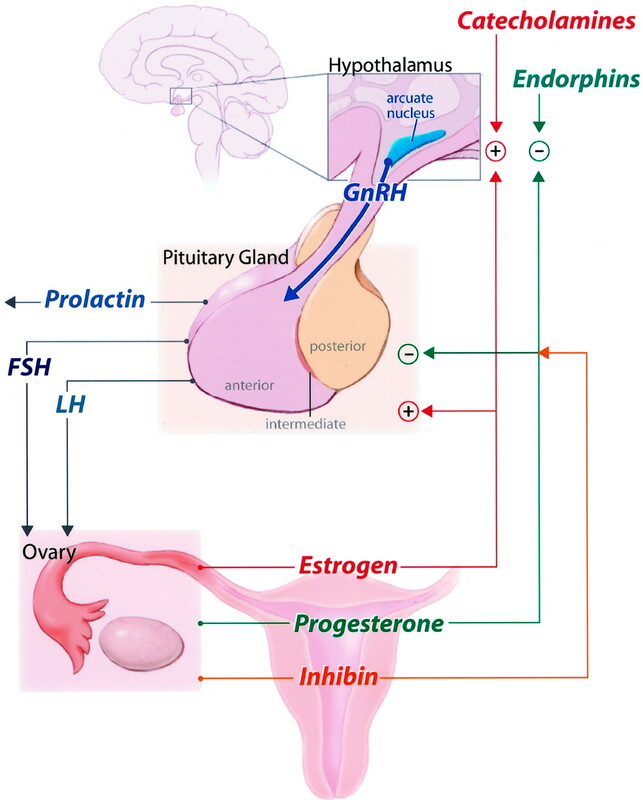 Your hypothalamus, sleepy after being dormant for so long while on the pill, forgets that it should be giving out regular pulses of a hormone called gonadotrophin-releasing hormone (GnRH). 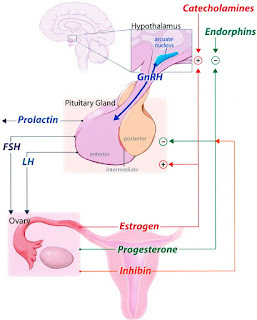 GnRH’s job is to stimulate the release of follicle stimulating hormone (FSH) and luteinizing hormone (LH), which in turn stimulate oestrogen and progesterone to be released from your ovaries. Sometimes it takes time for your hypothalamus to wake up; up to 12 months in not unusual. Certain herbs, acupuncture and a little bit of patience can be very helpful in this instance. Coming up in a couple weeks time we will be covering what you can do to ensure your body is recovering after the burdens of hormonal contraception.